We are also capable of carrying out hydrographic surveys using our GPS or Total Station instruments combined with Sonar depth reading equipment. We have carried out such surveys for; waste disposal contractors who required volumetric calculations of flooded quarries and clay pits prior to purchase, developers converting flooded gravel pits into marinas, quarrying companies requiring pre and post completion surveys following silt removal from settling lagoons and for environmental consultants carrying out flood risk assessments. Our 3.5m long inflatable boat is powered by a 4hp outboard engine which meets the latest emissions regulations. It is operated by a surveyor with the Royal Yachting Associations Powerboat Level 1&2 certificates of competence. 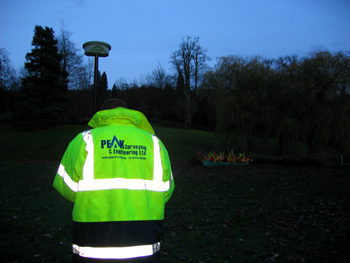 We can therefore ensure that all work is carried out in both a safe and environmentally responsible manner. Our equipment is suitable for all inland bodies of water, including tidal stretches. 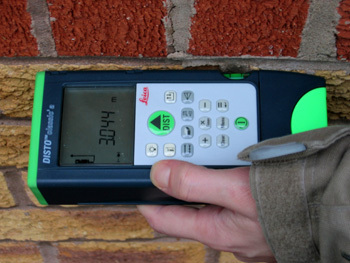 Non-contact measurement of quarry faces, building facades, and bridge soffitts etc. To enable us to offer these services at competitive rates and timescales we use the latest surveying equipment and software. With over 10 years of experience using the leading surveying and modelling software in the UK, LSS, we can be confident of providing accurate models and data for all projects large or small in an efficient manner. Similarly, we have the same experience using Leica surveying instruments. Our Total Stations are robotic allowing one man operation and have reflectorless measurement capability to enable measurements to be taken to inaccessible locations. Our GPSsystem is the latest from Leica allowing the surveyor to survey to Ordnance Surveycoordinates and level within a few minutes from arriving on site, with out the need for a separate base station on site. For building floorplan and elevation surveys we use a combination of Total Stations and Leica’s Disto to enable extremely accurate as built plans to be delivered. 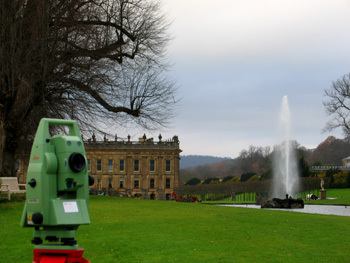 Specialist surveying company, based in Derbyshire and operating throughout the UK.